So, you’ve made a decision to set up your very own business and you are asking yourself whether to trade with a Limited company or as a sole trader. Like everything else in life, there are advantages and disadvantages to running a Limited company. It is your personal situation, your business strategies and ambitions and the nature of your business that will dictate the ideal trading vehicle for you. You might even find that the decision is taken out of your hands simply because the industry that you operate dictates whether you set up a limited company or otherwise. The incorporation of a Limited Company in the UK can be incredibly fast and doesnât cost a lot of money. You can incorporate a limited company with Companies House, the UK agency which regulates every Limited company in England and Wales, in a few days and for anything between Â£20 and Â£200 depending whether you are going to be doing the whole work yourself or you wish to engage an accountant to do it for you. As a business owner, you will be able to gain from some significant tax advantages by trading with a Limited Company as opposed to a sole trader or partnership. Many small business owners pay themselves with a combination of dividend and salary which can result in much lower overall tax liability if they conducted their trading activity as a sole trader or partnership. You can claim genuine overhead from your own Limited company, such as the expenses of running a home office with all the computers, software and related devices that comes with it, plus traveling expenses, subsistence and even training costs. More importantly, a Limited liability company can safeguard your personal properties, such as your house and other personal assets from business creditors if the worse happens and the business canât pay its creditors. When a person trades through a Limited Company, that personâs obligation to the creditors of the Limited Company is limited to any personal guarantees that he or she might have given. Disadvantages of trading via a Limited company. Even though your business is a separate legal entity from you directly, you still have duties, obligations and responsibilities as a shareholder and director of your own Limited Company. This would not apply were you to operate your business as a sole trader or partnership. If you run a Limited company, you must file annual accounts prepared in a prescribed format to Companies House and HM Revenue and Customs each year. In addition, confirmation statement and updates of any changes to shareholdings as well as company officers, such as directors and secretary has to be submitted to Companies House each year. 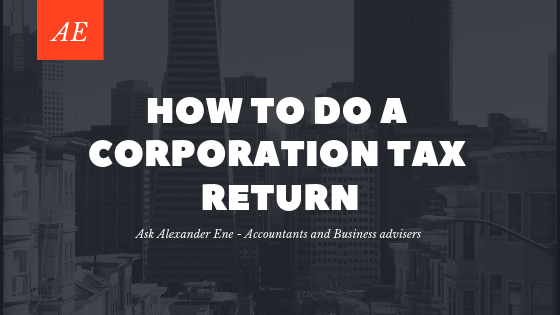 Every Limited company has to likewise submit a company tax return and corporation tax calculation with HM Revenue and Customs, the UK’s tax Authority on an annual basis on a prescribed date. Failing to do so will result in fines and penalties being imposed on the company. There are restrictions on how the directors and shareholders take money out of a Limited Company. For example there are tax consequences every time a shareholder or director transfers money from a Limited Company to his or her personal account. Setting up a limited company can bring you many benefits, such as increased net income, the ability to claim overheads as well as protection from trade creditors and claims from customers. In spite of all that, some business owners feel that the burden of paperwork, such as corporate tax returns, as well as the job of running a Limited Company is too much for them to handle and in these situations choose alternative ways of running their business such as sole trader or partnership. Consider the pros and cons and consult an expert, such as an accountant, prior to making your decision about whether signing up a limited company is best for you.